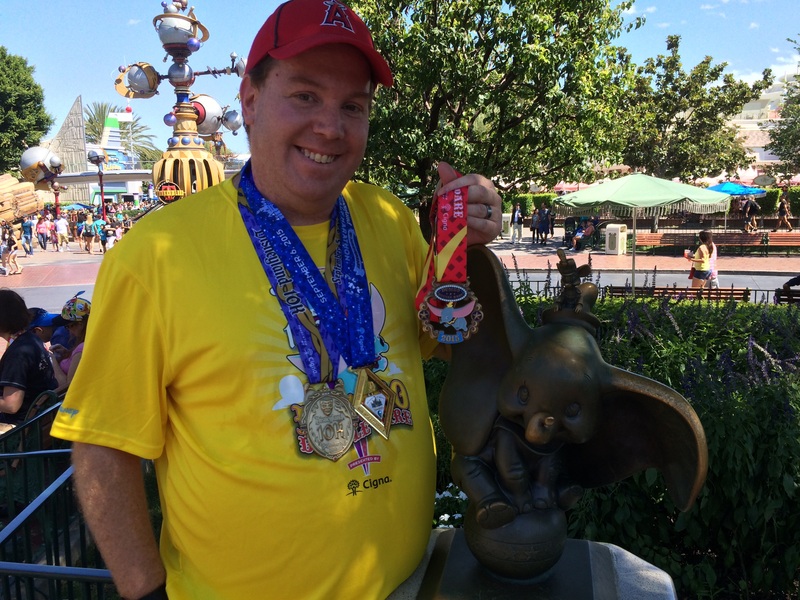 While I’ll get into more details about the races themselves, I wanted to get this weekly recap up on the blog of the Disneyland Half Marathon Week. It was a really good week for me! On Tuesday, I gout out for another 4 mile run. The week before this week, I was in recovery mode from a really bad cold. 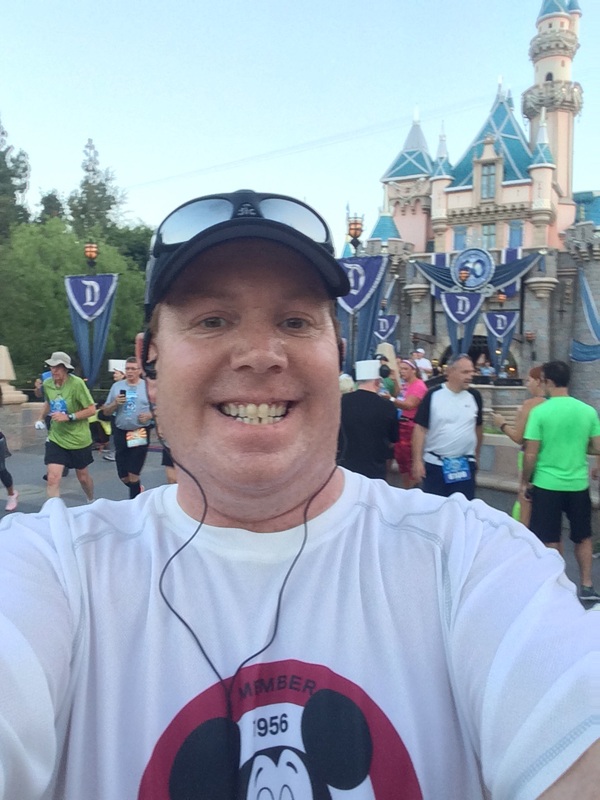 While my run on the weekend before Disneyland wasn’t what I wanted it to be (6 miles instead of the 9 I had hoped for), I really wanted the Disneyland Half Marathon Week to be the one where I saw how much I had recovered. So, the plan for Tuesday was to get out with my marathon intervals for the first mile. Then, I’d go to my shorter distance intervals for miles 2 and 3. Mile 4 was going to be according to how I felt. The first mile, went better than expected. I love it when I can finish the first mile under 12 minutes because my walk breaks are 90 seconds. So, a finish in under 12 minutes means I’m going pretty good. The second mile, I cut the walk break down to 60 seconds. I was a little nervous about doing so because I was still recovering. However, the second mile went beyond expectations. I was feeling good and running pretty well! The third mile also went well. One thing that hurt my overall finish time was that I had to wait nearly 4 minutes at a traffic light just before the end of the third mile. It killed the momentum I had built and I felt it in the last mile. I was feeling well enough to keep the 60 second walk breaks. What started off as “I’ll switch to the 90 second walk breaks in the last half mile” turned into no switch at all. As a matter of fact, my last two run intervals were separated by 30 seconds of walking. I had a chance to finish with a great time and took it! The temps were cool on Thursday for a change. It was absolutely wonderful weather to run in! I think the lower temps helped me run a little bit faster. I did the same thing I did on Tuesday. There was some concern I had before running that I didn’t want to push myself too hard and kill my chances of a 10K PR on Saturday. I got off to another fantastic start, finishing mile 1 around 5 seconds faster than Tuesday. So, of course, I switched to the 60 second walk intervals for miles 2 and 3. I was faster through the first two miles than Tuesday and the trend continued through the end of mile 3. So, unlike Tuesday, it was a complete no-brainer for me to keep the 60 second walk breaks going all the way to the end. The result? I finished around 30 seconds quicker than on Tuesday! Talk about a great way to finish the week before the Dumbo Double Dare! I felt ready to take on the races for the weekend! 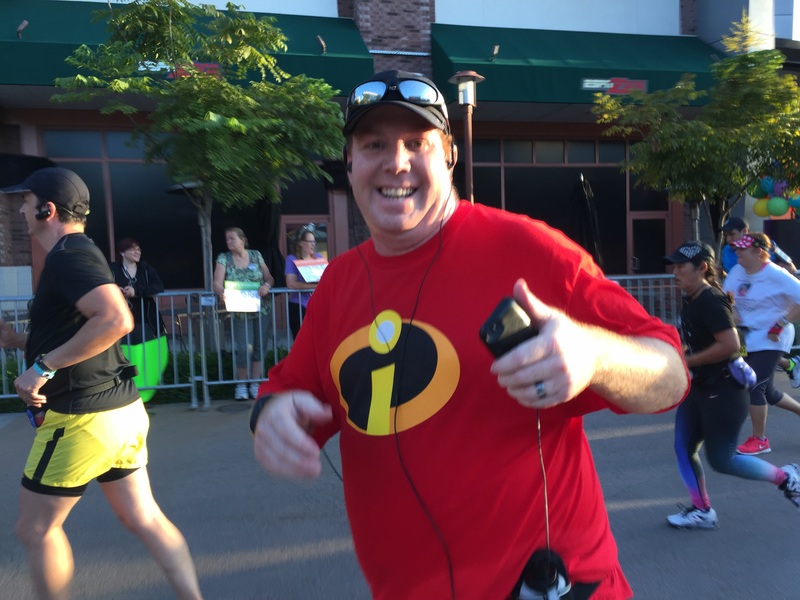 Saturday was the Disneyland 10K race. I was dressed as an Incredible. As I said in the costume reveal…if I got the PR, I’d say I was Dash. If not, Mr. Incredible. I’ll cover this race properly later…either Friday or Tuesday of next week. It was great to be racing a 10K again! The short version of the race goes like this…I was up at 3:15am to get ready for the race. 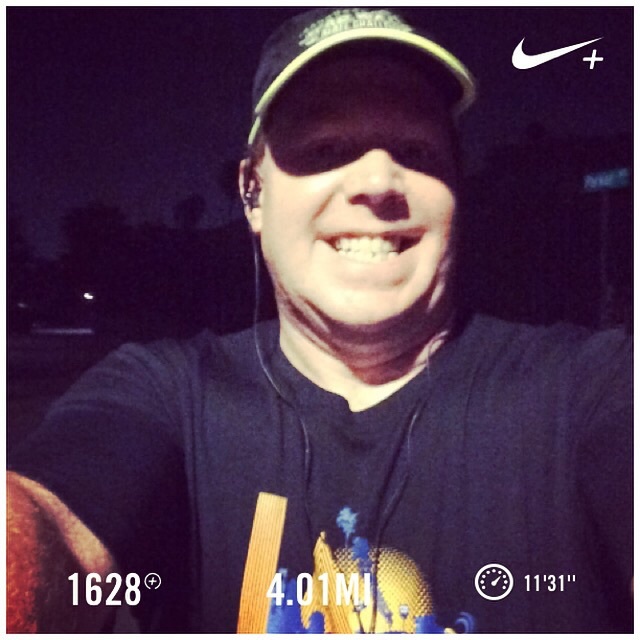 Had a fun meet up with some of my Team #runDisney peeps at 4am. On the way to the corrals, I ran into my friends AJ and Ivie and got to hang with them in the corrals. Once we got to the start line, we parted ways. I was racing this race. Mile 1 went amazingly well. In spite of course crowding, I finished the first mile in 11:14! To be honest, I think that the first mile marker was misplaced. By the end of mile 2, I was a little faster than 24 minutes. That’s where I wanted to be. Mile 3 took us into Disney California Adventure. That’s where I started to fall behind. It’s hard for me to not stop and take lots of pictures. I resisted as much as I could. By the end of mile 3, I was at around 37 minutes. Mile 4 brought us into Disneyland. When I got to the mile 4 marker, I was off my pace by 2 minutes. I conceded the PR attempt at this point and altered my intervals to the 90 second walk breaks for mile 5. Amazingly, I made up a little time in mile 5. So, I went back to the 60 second walk breaks through the finish. I ended up finishing in 1 hour 17 minutes…a little more than one minute slower than my 10K PR. Oh, so close! Sunday, was the Disneyland Half Marathon. Another 3:15am wake up. Honestly, the hard part of these challenges is being up so early on consecutive days. I was much more tired waiting in the corrals for the half marathon than the 10K. This race was intentionally for fun. Again, I’ll write up a proper race report on this race next week. 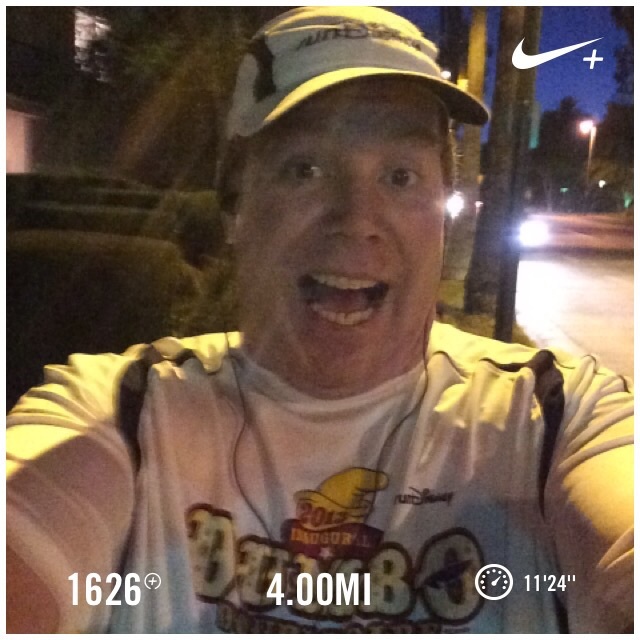 The short version…I had another fantastic first mile. Oddly enough, course crowding wasn’t that bad for this race at the start. Once I got in Disney California Adventure, the distractions began. While running through the theme parks, I completely lost track of when I was supposed to run and walk. So, before I got into Disneyland, I decided to keep the marathon intervals of run 30 seconds, walk 90 seconds for the mere fact it was easier to remember when to run. With these intervals, I’d run on every even minute. See what I mean? Easy. I went rather slowly through the theme parks and stopped to take many pictures. It was too much fun for words!. My time was slow, but I felt great as we left Disneyland. I walked up the overpass because it was the only hill. I thought…why waste too much energy on a race for fun? On the other side of the overpass, I got back into the run 30 seconds, walk 90 seconds intervals. It worked out fantastically for the rest of the race. I was really happy with myself to keeping the intervals going even through the boring parts of the race. The biggest mental boost was that I didn’t miss a beat during miles 11 and 12. Those have been my downfall in the past two Disneyland Half Marathons. Not so this year! You know what? When you keep running, those two miles don’t feel as bad. Who knew? By the time we got to the last half mile, I couldn’t stop smiling. I felt strong and I knew the race was almost over! I finished in 3 hours 7 minutes (about 5 minutes faster than last year!). I finished on par with the Avengers Super Heroes Half Marathon. So, not too bad! After the race, I went back to the hotel for about a half hour nap and to get cleaned up before checking out. By noon, I was off to Disneyland to celebrate! Honestly, I have no idea how I stayed awake for nearly 10 hours at the theme parks. I guess being at Disney just gives me lots of energy. I stayed all the way through the Disneyland Forever Fireworks. Per my wife’s request, I got in line for some treats at the Market House (where Starbucks is located at Disneyland) and was out of the park by 10:30! It took me a half hour to get back to the car. Then another hour to get home. So, I didn’t end up getting to bed until 12:15am Monday morning. Yep. 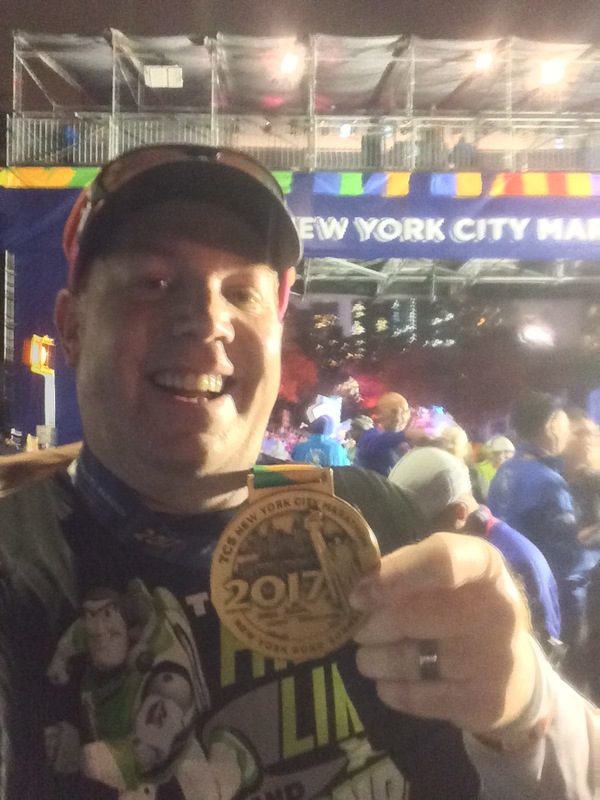 I was up from 3:15am Sunday through 12:15am Monday, ran a half marathon and 10 plus hours at Disneyland and Disney California Adventure. It was a crazy and fun day! 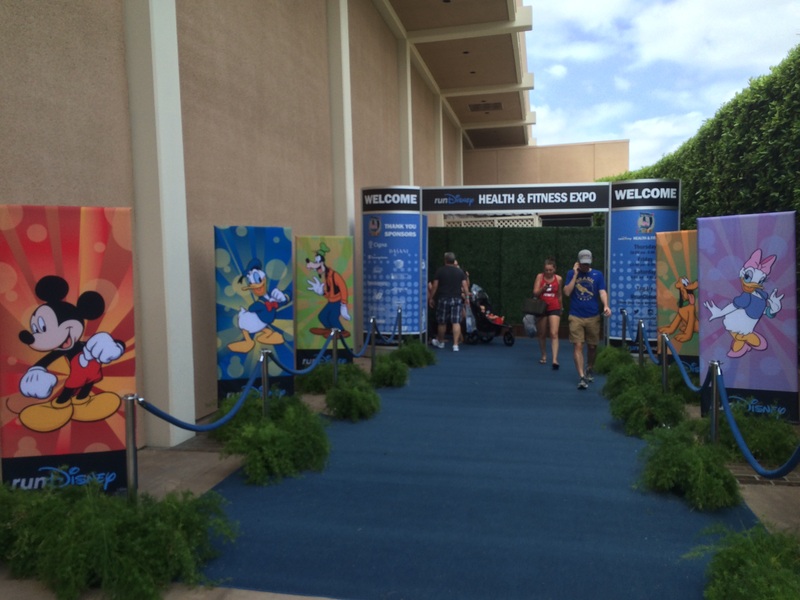 With the Disneyland Half Marathon Weekend behind me, the Bank of America Chicago Marathon is up next! The fund raising for Adoption-Link and Hold International that I’ve been doing is going okay. I’ve got $450 dollars raised so far. My parents have given me another bit of money to add to this total. However, I still have a long way to go. Please consider helping me get to the Bank of America Chicago Marathon by sending a donation through the link in the image above. The monies raised will go a long way towards helping orphans in Haiti and China find their forever home with couples, like my wife and myself, who want to give them that home. Every child deserves a forever home. I’m not only asking for you to consider helping with a donation but spreading the word about this charity. I know that some of you out there are also bloggers or have some presence on social media. It would mean a lot to me if you could share my story with your followers and ask them to donate as well. The Bank of America Chicago Marathon is October 11th. So, I don’t have too much time left to raise funds. Thank you to those who have donated and those that will. I’ll share this tomorrow to see if I can help with donations for such a good cause!